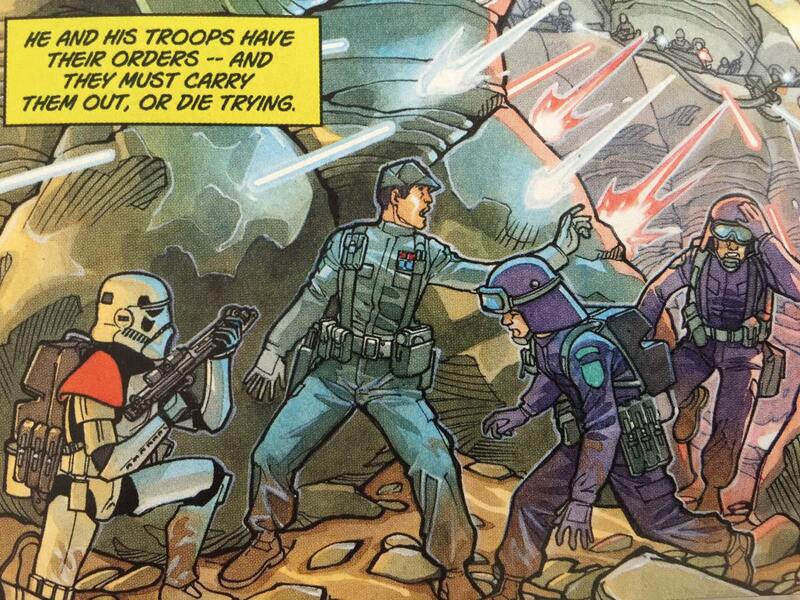 Currently there are several Imperial Army trooper costumes based on the comic series from several years ago. These non armored costumes fall under the Special Operations Detachment, and they look different than the typical black RP/ TI/ IC/ IG/ IN black coveralls. There is also a large green distinctive patch worn lower on the arm than the Imperial cog. There are officers and several troopers in both black and green, and some of these costumes are still under development. Other than a couple of items like the helmet (for those wanting a helmet) and Imperial hat, these costumes fall on the easy/ beginner side of the spectrum and we have two approved Engineers in this Garrison. I call this kind of costume a "sit back smile and dial " costume becaause the majority of it is mail order, and mostly readily available tactical gear. These DO NOT use the typical Wampa Wear black flightsuit :They are black or OD green coveralls..
As of this afternoon I have a supply of Imperial Army patches that would be enough to equip a large demolitions team. If these costumes appeal to you (and your budget!) there is a tremendous amount of information on the Special Operations Detachment, and I can guide you through the purchase process of what to buy. for those keeping track, here are the current CRL proposals. The Spec Ops det is very busy with these and other proposals. These are just the ones Im actively involved with and aware of. For anyone who wants to do the Imperial Army Ground commander the armor is cheap but the shipping is rediculous. We are submitting a group order on the 15th of November. Contact myself or Krysis for details.